Before I read this book, I thought the story would follow the months after the death of the father of a young family in 1915 Tennessee. It turns out that it follows the family in the couple of days before and after the death of Jay. This was only a problem in that those three days of shock were magnified and examined minutely. I've had to spend some time analysing the book to find why it didn't work for me. Agee died before this book was published. From the Note on this Book - How much polishing or re-writing he might have done is impossible to guess, for he was a tireless and painstaking writer. The editors inserted two scenes at the end of parts I and II, which to me, didn't add much to the story, a little background to the characters. I really wanted to like this book and thought I would, but it just didn't seem to match the way brain likes to read. The sentences ran on and on, and there were page-long paragraphs and every little detail was excruciatingly described. I understand that this effect was meant to illustrate the effects of grief and the way that time would slow down, but holy hannah, it was painful to read. Add to that the thought processes of a confused six year old boy and I was ready to throw the book. I kept reading and I did like the third section the best but it wasn't enough to salvage the book for me. For example, the analysis of feelings was so in depth, and exacting, it didn't read true to me. Or maybe just too obvious. Catherine is a three year old girl - Catherine felt more virtuous and less troubled than she had for some time, for she had watched Rufus being scolded, all to himself, and it more than wiped out her unhappiness at his telling her to come along when of course she was coming and he had no right even if she wasn't. page 263 More virtuous? He could see his mother's face while she told them about it and hear her voice, over and over, and silently, over and over, while he looked around the sitting room and through the window into the street, words repeated themselves (page 239). That quote there summed up the whole book for me. Over and over, the same words repeated themselves. If I missed your review, let me know and I'll add you. Funny is tricky stuff, because what I find funny (Wipeout!) other people find horrifying. And nothing discourages me more than seeing on a cover - Laugh out loud funny! and then me not finding it funny at all. I'd almost rather not know a book is going to be funny and then be pleasantly surprised. Most recently, Twenties Girl was a pretty amusing chick lit book, with a ghost who appears and is a little selfish, so she is pretty demanding, but only the main character can see and hear her, and ends up talking to her, or even yelling when no one else can understand what she's yelling about. I have a book here that I know will be funny that I am planning to read: Vinyl Cafe Diaries by Stuart MacLean. If you haven't heard any stories about Dave and Morley, especially as read by MacLean, you need to investigate. Very funny stuff, and available free on podcasts from CBC radio. For the year, the two funniest books I've read were Then We Came to the End by Joshua Ferris and Beat the Reaper by Josh Brazell. They might not be for everyone but I found them hilarious. Laugh out loud funny! But I don't want to ruin it for you. Tonight, we will attend the Trivia contest at the annual Blueberry Festival in my husband's small hometown. His two sisters, brother, their spouses, and a random couple who joined us a few years ago and now come back faithfully every year, will compete with about 200 other people in the rink. Nothing like drinking beer in an ice rink in the summer for atmosphere! We usually do very well, but last year my husband had to take our son to a baseball game too far away to make it back for the competition. It was one of the few years we didn't place in the top three, so he is obviously our major player. Regardless of how we do, it is a wonderful time with all the family, a tradition we look forward to every year. Have you always wondered what exactly this equation means? Why is it so famous? Are you worried that 'only 12 people in the world truly understand it', and you aren't one of them? Then this is the book for you! Written as a biography of the equation, the book begins with the 'birth', Einstein's time in the patent office in Switzerland where he originally thought of the relationship. Bodanis then backs up and explains exactly what each of the 5 parts of the equation come from - energy, mass, equals, celeritas, and squared. Each of these comes with some famous scientists and their main contributions. Fascinating, and written in easy to understand terms and analogies. ( I'm pretty sure they are easy to understand, but keep in mind I spend every day in a high school science class, so this is stuff I talk about every day. In that sense, I think it is easy because nothing seems any higher than I would expect my students to be able to understand.) I really liked this section as it broke down energy and mass and the speed of light (celeritas). The rest of the book traces the results and implications that Einstein's famous equation led to, ultimately in the terrible devastation in Japan. But this book is so much more! The unfortunately believable sexism encountered by Lise Meitner (Otto Hahn, that Nobel prize thief! ), and Cecilia Payne, who at least was allowed to study for her PhD, even if none of her advisers would believe her results. Miss Leavitt gets an anonymous nod in reference to the 'computers' at Harvard. The treatment of Jews in Germany and the scientists who refused to work with them, like Heisenberg. The race between the Americans and the Germans to build the bomb, and the daring operation carried out in Norway to stop the Germans. Funny observations and writing. Every hero needs an assistant. Moses had Aaron. Jesus had his disciples. Einstein, alas, got Freundlich. The fights and stubborn behavior of some well known scientists. The feuds! All the biggest names is science: Faraday, Oppenheimer, Rutherford, Chadwick, Fermi, Lavoisier, and Ole Roemer as well as the lesser known. This book will be in my class room, and I can see using this as a reference for years to come. This is what science writing should be - accessible, fun, and informative. It makes you feel smarter when you are done. Kinsella is getting better and better. I enjoyed her Shopaholic series, but Becky could be a little ridiculous, amusing but silly. I've enjoyed her stand alones even more - Undomestic Goddess, Remember Me? and now Twenties Girl may be the best of them. This is a ghost story of sorts, as Lara Lington discovers her 105 year old great-aunt Sadie appears to her at her funeral. Sadie wants to find her missing necklace before she will be at rest, and Lara must deal with Sadie and her demands. Lara is a twenty-something Londoner, in over her head with a fledgling business, started with her best mate who has taken off, leaving Lara to try and operate in the business world. There are boys - good and bad, rich family members and a bit of a mystery with the necklace. I had a great romp with Lara as she learns to make friends with her great aunt, finds the right guy and rights a family wrong. Sadie was quite the chick, remembering her fun days as a girl in the 1920s and making Lara relive some of her glory days. Sadie provides some very funny situations, as only Lara can see and hear her and Sadie can be rather demanding at times. Sadie makes Lara ask out a guy so she can go dancing with him, then snuggles up, with Lara to the guy. There is great potential for a funny movie here. I laughed out loud, I was touched by the bitter sweet ending, and was charmed by the love story. Kinsella is really hitting her stride as I find each new character a bit more realistic. The book is fun, and light, and predictable in the way that makes it fun to read, because I want it to turn out the way it does. I don't read a lot of chick lit, but I have to think Kinsella is the master. 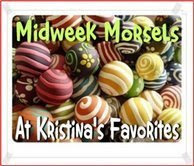 Kristina at Kristina's Favorites is hosting Midweek Morsels on Wednesday - check out other great recipes. It was just that little bit overcast and cool enough today to think about making cookies. When I suggested I might make cookies, three voices shouted out 'Chocolate chip!' when I asked what kind should I make. We make the best chocolate chip cookies, seriously. I know everyone likes their own recipe, but these are crispy the outside and chewy on the inside, they freeze spectacularly and might even be better frozen. When my sister and I were young we would make triple and quadruple batches. They are so good! Cream together shortening, sugars, and vanilla. Add egg and stir. Add flour, soda, and salt. Combine. Add chips and nuts. Mix thoroughly. Drop onto greased sheets, bake 7-10 minutes at 375 F.
Melanie's review at theindextriousreader last year is what first brought this book to my attention. When she recently reviewed another science biography in this series, I remembered about Miss Leavitt. Will I ever catch up to Melanie? My library has a couple more I will have to look into - including Madame Curie. There isn't a lot of information on Henrietta Swan Leavitt, and this book almost misleadingly is named for her. I think she gets a little more than her due here as a belated apology for her lack of recognition and opportunity. She was a 'computer' at Harvard in the early 1900s, observing the relative brightness of stars from photographic plates. Her job was simply to record, but she was able to make some conclusions, even developing a relationship, that then allowed the other astronomers, the men, to determine the distances of the stars. This was a starting point for the investigation of galaxies, their nearness or farness, and for the determining that the Milky Way wasn't the center, or the only one. Miss Leavitt gave the other astronomers a starting point to carry on. PhDs have been awarded for much less. The science is slowly explained, with some good analogies to help us regular folk. The infighting, the sniping, and the downplaying of other's contributions to raise up their own: that was easy to see. Some famous names like Hubble, Einstein, and George Ellery Hale were Henrietta's contemporaries. The information on Henrietta is shockingly slim, but she wasn't around very long as she was sickly, missing many months of work, and then she died early. Whatever could be found about her family and her life seems to have been uncovered. Her boss never really acknowledged her contribution so there was little recorded of what the 'computers' did. They were thought of as recorders, not thinkers, so any ideas they had were scooped up by the bosses. It's a sad story of women's contribution at that point in history, but all too common. This is very hard to review without getting into politics. American Wife is a fictionalized account of Laura Bush, here known as Alice Blackwell. It has to be understood that only some very superficial facts are known and based on the real Bushes, and the rest imagines what Laura/Alice might have thought and done on the way to becoming First Lady. I'll have to say I liked Alice, and her relationship with Charlie/George. The novel is written as if Alice Blackwell has written an autobiography, facing her actions and decisions. 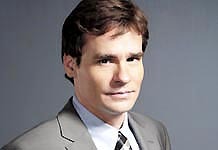 Charlie comes off exactly as how I saw George Bush, which is not an unlikeable guy at all, but not the smartest either, someone who knows his limits and is very personable. Alice knows her husband best of all, and learns to live her life within the context of their public life. I liked the portrayal of their marriage and the love between them. It matches what I always imagined might have been there. If you believe marriage means compromise, then that is aptly demonstrated here. The story moves along well, divided into 4 sections - Alice living at home, Alice meeting and marrying Charlie, the substantial years of their marriage, and then the presidency. In each section, Alice faces a crisis that calls on her to make major decisions, that all have future repercussions. The major facts that are known about the Bushes are here, and how Sittenfeld builds a possible world and marriage between Alice and Charlie is very believable, and I had to keep reminding myself that the conversations and other characters were all made up. There are some real statements here about the judgments that get made about the Bushes, and famous people in general, based on only what the public sees and what the media shows. I enjoyed the book with its faux history. I was impressed with this version of Laura Bush and with the story Sittenfeld has imagined. This week's Weekly Geeks asks you to tell us about your globe trotting via books. Are you a global reader? How many countries have you "visited" in your reading? What are your favorite places or cultures to read about? Can you recommend particularly good books about certain regions, countries or continents? 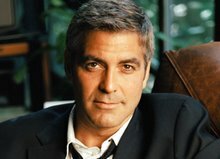 How do you find out about books from other countries? What countries would you like to read that you haven't yet? Great question! I was never very conscious of where the books I read were from, but since landing in the book blogosphere in 2007, I've made a more concerted effort to read books from around the world. Readers like caribousmom and michelle 3M, have inspired me to expand my reading. Plus, there's the cool map to try and fill in. I've been keeping track since 2007 of the books and the countries they represent at my own personal blog. What are your favorite places or cultures to read about? My favorite is definitely England and the United Kingdom, after Canada and the US. North America is my default choice of reading. I've been immersed in a few countries, like Italy, Iceland and Botswana, due to finding really good mystery series set in those locals. The more I read of a series, the more I get a good feel of the place. What countries would you like to read that you haven't yet? There are lots of countries in Africa and South America, and while I've filled in the big countries in Asia, there are still lots of small countries there to fill in. Any one know a good Madagascar book? Or Thailand? It's Tuesday... where are you? Every Tuesday, I host a Meme that fits with this Weekly Geek theme. Readers post or leave a message sharing their reading location. We are usually all around the world, and I get lots of great ideas of books set in many different locales. Feel free to come by and play and get new ideas! Amy Adams was Amelia Earhart in Night at the Museum 2, and I was enchanted by her - both Amy and her portrayal of Amelia. I even got that sense of Earhart - that broad from the 1930s, doing her own thing in a world of men, in the book. The premise of the book is to explain, in first and third person - sometimes at the same time, what happened to Amelia Earhart when she and her plane disappeared with her navigator in 1937. At times charming, this little book had the potential to be a loved book, but this time, it was just good. Maybe I read it at the wrong time or place, and that would be at the soccer pitch, because on another day, I might have loved it. 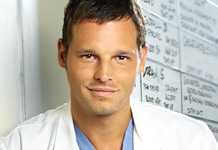 I liked Amelia, and her strength. She was a bit reckless. The writing was poetic, with lovely images and metaphors. If you have an hour or two, this was a great little dip into the imagined past. It's a political book, a spiritual book, and a horrific look at life inside a Burmese jail. The first third of the book follows Teza, the Songbird, jailed for opposing the military government of Myanmar. (Note to self - learn more about Burma, the coups, the people, the Peace Prize won by that woman.) Teza and his Buddhist life profoundly affect several people in the prison, including one of the jailers, Chit Naing, and an orphan, Little Brother, living in the jail. The last two thirds becomes very intense as everyone has to make difficult decisions. I found it a difficult book to read and had to take several breaks, but it was so worth it to finish it, and by about halfway through, I knew I was going to love it. It reminded me of A Fine Balance by Rohinton Mistry, just in the way that it was epic in scope and showed the beautiful humanity that can exist, or rather must emerge, amidst terrible violence and brutal conditions. It makes me wonder what quality it is inside some people that causes them to inspire caring and elevates the people around them. And why it is that other people hate that quality and will do what they can to smash it out, but they never can, further infuriating them. Overall, an excellent if difficult book. Good Morning! I'm loving this summer living, at the soccer pitch, and at the baseball field, reading books between innings. We finally had some lovely warm summer days. It rained again, again! this morning, but was nice by the afternoon. I thoroughly enjoyed my time reading your journals and letters from those four years during the 1930s. You provided a nice overview of events during the Depression, just as background, as well as what life might be like for a single lady living alone in small town Ontario. But more importantly, you showed the struggle to find personal happiness and our place in this world. 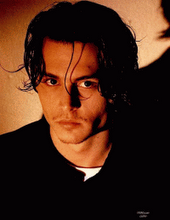 I liked your voice, and your mistakes, and your dignity in the face of difficulties. Your loving but realistic relationship with your sister, the big time radio actress living in New York City. I hope more readers discover your wonderful story. Kristina at Kristina's Favorites hosts this weekly meme about what we've been cooking. I was invited to a barbeque this week and brought a salad. It was hardly noticed amongst the perfectly cooked t-bone steaks, and boiled new potatoes, but there my salad was, considered yummy even by all the carnivores. I found this recipe at a Veggie Venture, which I suggest you add to your google reader. Did you know that there are at least as many recipe blogs out there are book blogs? I love having a new recipe land in the ole Reader. It cuts down a bit on the TBR pile, but it adds a whole other list of things to try. note: I made the salad two days ahead of the party, and the apples were fine. I put the apples in the bowl last, and then squeezed the lime juice all over them. It worked great. Fresh basil from the garden and the cinnamon really was all that was needed. How healthy is that? On metaphors: A book focused on grief, Falling, uses Niagara Falls as its center point. On the plot: The first line has seventeen year old Lisa dying in a tragic accident in Nova Scotia. The action then moves forward, nearly a year later, as her brother and mother travel to Niagara Falls, home of Lisa's uncle and cousin, to scatter her ashes. On no quotation marks for conversations: I'll admit, it bothered me at first. But the whole novel is about grief, and the disorientation felt by Damien and his mother, so it felt true to their experience. This disorientation extended to past and present situations occuring in the same paragraph, same sentence for some characters. Again, this took some time, but really made me feel the characters confusion. 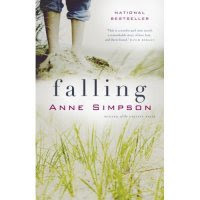 On poetry: Simpson is a published, honoured poet, and her writing is very reminiscent of poetry. Sometimes that causes me problems, but I was able to let go and let the book carry me along. There was a nice section in the middle, at a pivotal plot point, with a stream of consciousness, that was more poem-like, and beautifully set the tone and atmosphere of this most dramatic moment for Damien. 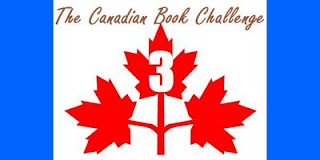 Three great challenges start this month - Orange July, 3rd Canadian Book Challenge, and Book Awards III. I just need to find an award winning book, written by Canadian woman, that is on the Orange Prize list. It's surprisingly easy to find Canadian women on that list. I'm going with the author and book which won the New Writers award in 2007. Too bad I'm not signed up for the Chunkster Challenge as well. In the early 1970s, the heyday of Bobby Orr, he was the guest speaker at a small, local sports dinner. My father in law was one of the organizers, so took his two young sons, one of which is now my husband, to pick Bobby Orr up at the airport. He thought the boys, huge hockey fans, would love the chance to meet one of the greatest hockey players of the day. He neglected to take into account team loyalty, as his sons were rabid Montreal Canadian fans, bitter rivals of Orr's Boston Bruins. They had no interest in talking to the hated Bruin, even as they sat beside him for the half hour ride home. We take our hockey pretty seriously here in Canada. This book is part biography (but unauthorized) and part hockey history. Beginning when Bobby Orr was just a lad, up to his untimely retirement at age 28, Brunt follows the career of one of the most dazzling hockey players Canada has produced. And because he retired so young, comparisons are difficult if inevitable. If only orthopedics surgery was better, if only he had played in the 1980s. He dominated so dramatically in his short time in the league (2 Stanley Cups, 3 time league MVP, 8 straight years best defenceman in NHL) it always seems a shame that he was felled by a bum knee. Bobby Orr was one of the last from old-time hockey, entering the NHL when it was still just six teams after committing to the Bruins as a fourteen year old. He will also always be linked with Alan Eagleson, the first sports agent in hockey who negotiated one of the first good deals for a hockey player. It's too bad that Bobby Orr didn't want to talk to Brunt, because the distance is felt by the reader, even though Brunt manages to give good look at Orr's very private life. Brunt had lots of great little details, provided by people close to Orr, but I never felt like I got to know Bobby Orr. I certainly got to know his career, and a bigger hockey fan than I would appreicate some of the gamesand goals as they were described in detail. I think there is also another story here to be told, about Alan Eagleson and his dealings with hockey players. That is another aspect I didn't feel was looked at much in depth, but it would be a much bigger story, and Bobby Orr is only a part of that one. It just gives me another book to look for. I enjoyed reading Bobby Orr's story, reading about the hockey players I grew up watching, and realizing how special Bobby Orr was. Brunt is a fan of Orr's but doesn't gloss over anything. I thought he did a good job of showing the different sides of Bobby Orr, warts and all, and depicting an interesting part of hockey history. Brunt has another hockey book coming out later this fall, Gretzky's Tears, about Wayne Gretzky. I am more of Gretzky's era, and can remember where I was when I heard he had been traded to the LA Kings. Do you? Looks like a good Christmas present for my husband. I'm sure he would have talked to Gretzky in the car. Who's the best hockey player? There's a little poll for you to tick. My first Alice Munro book. I liked the way the short stories were connected, much like in Olive Kitteridge, with recurring characters. Munro has crafted a partially fact, partially fiction history of her family. She takes the past, beginning in Ettridge Valley, Scotland, and builds a possible story of the Laidlaws coming to America. The stories are based on legend, and her imagination. The second half of the book is ficitonalized memoir of Alice Munro's life, and her family. She states in the introduction that the stories are not true - "And the part of this book that might be called family history has expanded into fiction, but always within the outline of a true narrative." Very readable, a version of one family's Canadian history, but with general family relationships. Alice Munro, born July 10, 1931 was awarded the Man Booker International Prize in 2009 for her body of written work. "Generally regarded to be one of the world's foremost writers of fiction, her stories focus on the human condition and relationships through the lens of daily life." If the measure of a book is how much it makes you think, then this book was great. There are several aspects to it: the behaviour of moths (the title this book is known by in the UK), the relationship amongst a fairly dysfunctional family, and the narrator herself. The moths and their behavior is the family specialty, and the narrator, Virginia, has devoted her life to their study. The story begins with Virginia's sister, Vivien, returning to the family home after over 45 years away, with no contact at all. Why hasn't Vivien kept in contact with Virgina in all those years? Ginny's routine will be severely affected here, and it causes her to remember back on her life beginning during and after the second world war, at the time of her sister's birth. We travel back and forth between past and present, and some rather dramatic events, all of which we begin to see through Ginnie's rather suspect view of things. She continually states she is a scientist, and only looks at the facts, which covers up her lack of emotion and feeling. Fairly early on, I gathered that the narrator was not all there, and that her view of events was severely restricted by whatever disorder she had. It felt like something was kept from her, and I would have liked to hear more from Vivien's point of view. But maybe it was not knowing what really happened that kept the story interesting; it is up to the reader to decide what really happened. I liked trying to see the parallels between the moths and Virginia, whereas I imagine many people skim over the moth stuff. It does get a bit tedious, and only the game of trying to see why it was written there kept me into that part of it. And that is why I think this book was so good: it really engaged me and had me trying to read between the lines. The idea of the unreliable narrator, when I can recognize it, generally makes a book I will like. In ways I cannot particularly quantify, it reminded me of The Interloper, The Curious Incident of the Dog in the Night-Time, and ?? ( there's another one that's not coming to me now, something British, with remembering). I read a few reviews that found the ending ambiguous, but I liked the ending, and thought it made sense, for Virginia. 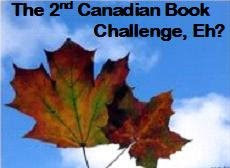 Happy Canada Day, and what a perfect time to sign up for the next version of the Canadian Book Challenge hosted by johnmutford at the Book Mine Set. I feel like I'm cheating by participating in this challenge, because these are all books I would read anyway. We have so many great authors and books here. Actual list may vary as per my whims. Here's my wrap-up for last years challenge, books listed, and a small survey. 2. But don't worry, the women authors were left out in the cold. The most popular author was Lucy Maud Montgomery, followed by Robert Munsch and Margaret Atwood who tied for 2nd, and again Andrew Davidson in 3rd. 1. What was your least favourite book and most favourite read for the challenge? I can't pick my favourite book - Before Green Gables, and Crow Lake were among my top ten reads last year, and I expect The Outlander and DeNiro's Game to make it this year's list. No Great Mischief and Mercy Among the Children were both excellent, touching my Maritimer soul. Least favourite? I'd put A Complicated Kindness, The Stone Diaries, and Fugitive Pieces as books that underwhelmed me, mostly based on their buildup, prize winning status and the general raves from other reviewers. 2. Any authors or books you want to read more because of the challenge? I certainly plan to read two of the most popular books from the challenge last year, The Gargoyle and The Book of Negroes this year. 3. Any comments or complaints about how to make the challenge better? nope, I am happily signing up for more, and will do my part to promote Canadian literature. I must tell you first, that I do not like bean salads. I know they are healthy for me, and I want to like them, so I will try them, but usually they are too beany. However, this recipe works for me. It has the heading that I have written into my book - Good, for a bean salad. I was at a party last week were someone brought this salad, and I heard two different people state that they don't like bean salads, but this one was good. That's what reminded me of this recipe, and I have made a batch to take to my Canada Day potluck party. Happy Canada Day! In a medium bowl, whisk together oil and lime juice. Add cilantro, cumin, salt and pepper and mix well. Stir in salad ingredients and correct seasoning. Serve at room temperature. Serves 6. 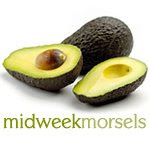 Check out kristina's favorites for more midweek morsel recipes. She hosts this every Wednesday.